The Texas Public Utilities Commission approved a settlement supported by El Paso Electric, the Office of Public Utility Counsel, Energy Freedom Coalition of America, SEIA, Eco El Paso, and Sunrun to drop a demand charge targeted at customers who invest in rooftop solar. El Paso Electric, which serves 300,000 customers in Texas, had proposed adding a demand charge and a $15 monthly customer charge for customers with rooftop solar. The settlement rejects both the solar demand charge and the solar fixed charge. Demand charges are based off of the single period during a month when customers use the most energy. It is impossible for customers to predict when they will trigger these charges, and once a peak demand has been hit, a customer has no ability to lower that charge with behavior changes throughout the rest of the month. In addition, these confusing and unpredictable charges prohibit solar growth. The settlement with El Paso Electric to drop the solar-specific demand charge is part of a growing trend across the country. In the past two years and across 10 states, all proposals by investor-owned utilities to implement mandatory demand charges on residential or solar customers have failed. Recently, local and national solar groups and ratepayer advocates worked with AEP utility subsidiaries in Tennessee and Oklahoma to dismiss or withdraw proposed demand charges. 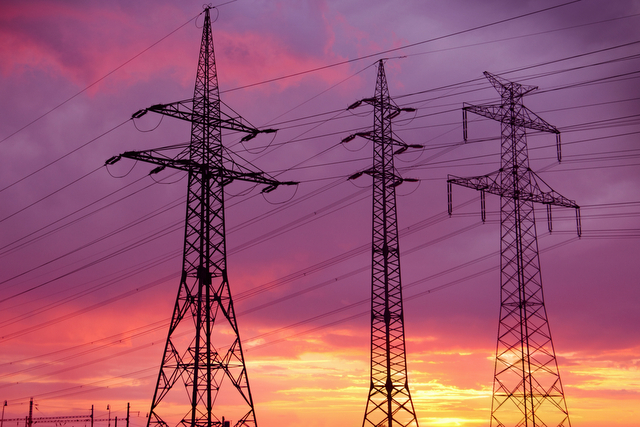 And earlier this week, over 20 stakeholders in Colorado collaborated to file a settlement that removes a confusing grid usage charge, which would have been a precursor to demand charges, in Xcel’s general rate case. 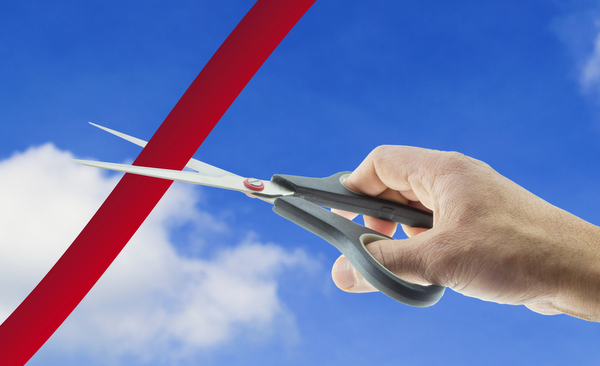 Instead, parties agreed to test consumer-friendly time-of-use rates for homeowners. In one of the few places where a municipal utility board outside the purview of a state utility commission has enacted residential demand charges, state leaders are now seeking to undo them. In Kentucky, the Attorney General is seeking to involve three U.S. congressmen and Tennessee Valley Authority in an effort to revise residential demand charges adopted by Glasgow Electric Plant Board. The Attorney General’s office stated they are intervening in order to “help alleviate the unfair burden imposed upon the Glasgow residents,” local media reported. Freedom Solar Power inaugurated the largest rooftop solar installation in Central Texas at the Strictly Pediatrics Surgery Center in Mueller at a festive celebration June 18. Comprised of nearly 2,500 high-efficiency solar panels from SunPower, the 812-kW system designed and installed by Freedom Solar Power includes two solar canopy structures on the parking garage, a roof-mounted solar array on the building, and an in-lobby monitoring system that shows the energy savings in real time. Because medical centers operate 24 hours per day every day and much of their equipment runs on electrical power, they are some of the largest users of electricity in their communities. The solar installation is expected to generate more than 1.2 million kWh of electricity per year, enough to offset 50 percent of Strictly Pediatrics’ energy needs. Strictly Pediatrics will not own the renewable energy credits associated with the system. Freedom Solar Power is a SunPower Master Dealer, the only company with that distinction in Texas. SunPower will be designing and constructing a 7.75-MW solar power system at Toyota’s new North American headquarters in Plano, Texas, which the auto maker plans to occupy next year. 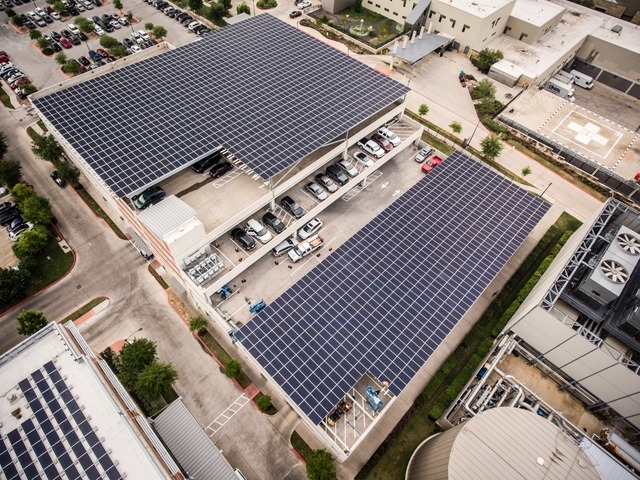 Expected to generate 25 percent of the headquarters’ total electricity demand, the system is anticipated to be the largest corporate office onsite solar installation among non-utility companies in the state of Texas. The project will be comprised of three solar carport structures using high efficiency SunPower solar panels. Two of the carports will each have a 2.45-MW capacity, and are planned to be operational mid-year 2017. The third, 2.83-MW solar carport is expected to be delivering power for the Toyota campus by end-of-year 2017. Compared to conventional solar panels, SunPower says its solar panels produce 45 percent more power from the same space in the first year of operation, which will allow Toyota to maximize the clean, renewable solar power generated on site. • In 2008, at the Toyota North American parts center in Ontario, Calif., SunPower installed a 2.3-MW system that produces more than 3.7 million kWh per year, providing up to 58 percent of the electricity needed at the facility. At the time of completion, it was the second largest single-rooftop solar array in North America. • Toyota’s South Campus headquarters building in Torrance, Calif., was one of the largest privately funded systems of its kind when it opened in 2003. Also built by SunPower, the system covers 53,000 square feet of rooftop. • Since 2009, a 1.5-MW SunPower solar power system has been operating at Toyota’s facility in West Caldwell, N.J.
PCI Solar has been awarded the contract to build solar arrays on four schools for the Austin Independent School District. The award was decided through a competitive RFP process and construction is slated to begin in the second half of 2016. The roof-mounted arrays include SolarWorld 325 watt panels, SMA inverters and either EcoFoot or Unirac racking systems. Additionally, each array includes monitoring by SMA and weather stations to help track system performance and proactively identify any system issues. AISD included an educational component to its solar RFP to facilitate a solar-centric learning environment for students and staff. 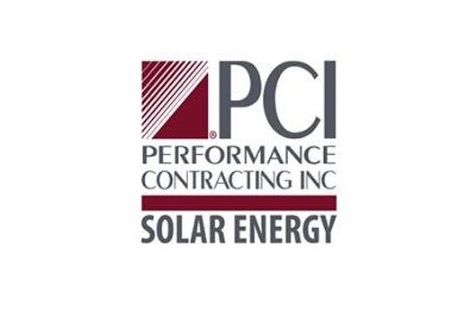 To support this goal, PCI Solar will provide teacher and faculty a full day training class that instructs them how to leverage the monitoring and weather data systems from the array in their curriculum. 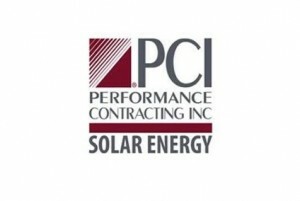 Furthermore, PCI Solar will be providing internship/apprentice opportunities to AISD students in the construction technology and science programs. The International City/County Management Association (ICMA) and The Solar Foundation (TSF) just launched a new designation program that will recognize leading solar cities and counties as well as empower new communities to advance through no-cost technical assistance. A core component of the technical assistance program — named SolSmart — are its Advisors. These Advisors are fully-funded temporary staff embedded in up to 40 communities to help each achieve designation. RELATED: Project of the Year Awards 2016 – Let the nominations begin! The SolSmart program seeks to address solar “soft costs,” which are business processes or administrative costs that can increase the time and money it takes to install a solar energy system. Local governments are in a unique position to both reduce these costs and to promote the use of solar in their jurisdictions. SolSmart offers three levels of designation – Bronze, Silver, and Gold. Communities can earn points to achieve designation tiers by taking action across eight categories. To achieve designation, communities must meet minimum requirements pertaining to two main categories: permitting, as well as planning, zoning, and development regulations. SolSmart communities then have flexibility in achieving the remaining points toward designation in six special-focus categories. Communities interested in pursuing SolSmart designation, receiving technical assistance, and applying to host an Advisor can learn more and take action at www.solsmart.org. ICMA will lead the effort to designate communities under SolSmart by reviewing applications and determining whether a community meets the criteria for designation. Communities that apply and do not reach the base designation level will be referred to TSF and their team to receive no-cost technical assistance to help the community qualify for designation.